Michael Wallace was born in California and raised in a small religious community in Utah, eventually heading east to live in Rhode Island and Vermont. In addition to working as a literary agent and innkeeper, he has been a software engineer for a Department of Defense contractor programming simulators for nuclear submarines. He is the author of more than twenty novels, including the Wall Street Journal bestselling Righteous series, set in a polygamist enclave in the desert. 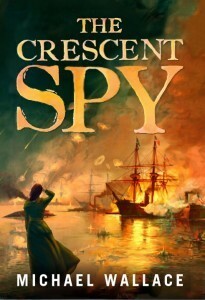 From the opening chapter where we meet Josephine Breaux pragmatically stripping off her hoop skirts and riding away in only her bloomers, to the very last page, Michael Wallace’s historical adventure, The Crescent Spy, is fascinating, thrilling, and a lot of fun. It’s also, at times, quite brutally honest in its depiction of Civil War-era America, and the treatment of wounded soldiers and women. Josephine is a fierce, smart, motivated woman, who reminded me (in good ways) of another literary Josephine, though Wallace is , of course, nothing like Alcott. 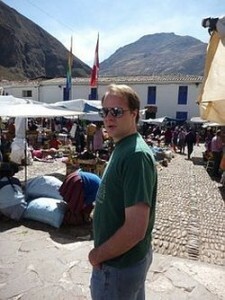 He is a contemporary author who writes historical fiction. She was writing stories that were contemporary to her. But this wasn’t meant to be a comparison of two fictional Josephines. Wallace writes his female protagonist very well. I felt like I was seeing Washington and New Orleans through her eyes. I really appreciated the level of detail Wallace put into this novel. The dialogue was accessible but still ‘felt’ period. The descriptions were vivid, down to the sound of wooden wheels on the street, and all of the characters were incredibly dimensional. I was so into this novel, that I completely forgot I was reading it for a review, and not just to enjoy. Goes well with cafe au lait and beignets. 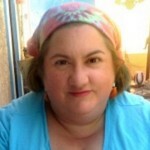 The Crescent Spy, by Michael Wallace #TLCBookTours #review by Melissa Bartell is licensed under a Creative Commons Attribution-NonCommercial-ShareAlike 4.0 International License. “I was so into this novel, that I completely forgot I was reading it for a review, and not just to enjoy.” Now THAT is certainly saying something!